Raisa and Kalervo are doing research at a university and competition is tough. Raisa is determined, efficient and ambitious, she cannot be slowed down by her three small children or her husband. Kalervo is not as sure about his direction. He is a reclusive and self-conscious man without family, exploring the integrity of living and doing. 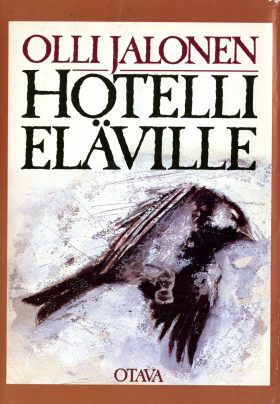 A Hotel for the Living is a novel about selfishness and indifference, trying and doing, exploiting other people and so-called helping; about the game and the spirit of the game.